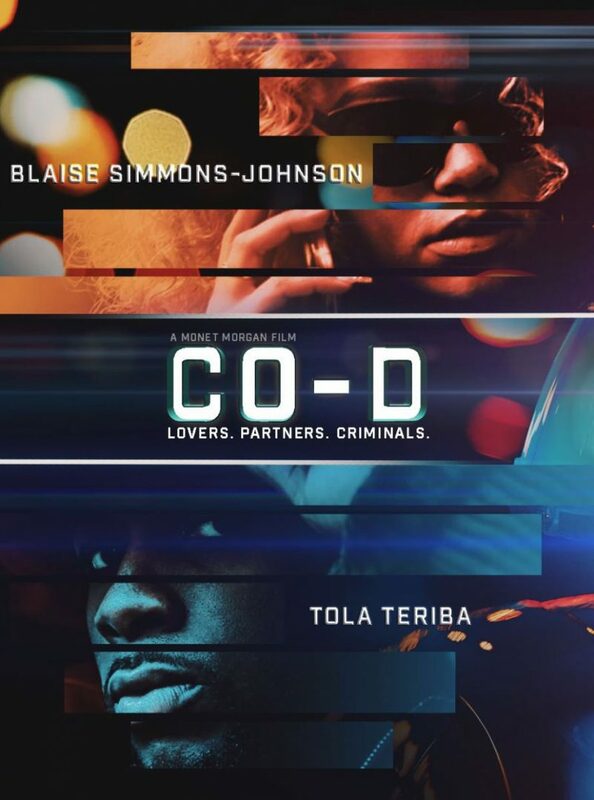 Check out the trailer for Co-D, a short film written and directed by rising star Monet Morgan, edited by R.M. Moses and produced by Monetvision Productions in association with Levile. Being all about the money and having a content life, for the first time in his life Trent (Tola Teriba), the unapologetic headman, is alerted of a financial responsibility to fund his father's potential care home. His girlfriend Courtney (Blaise Tykal) puts her faith in Trent, motivated by love and knowing he is a good person. Stealing frmo illegal businesses, Trent decides to take from Bruno – a successful drug distributor. Unbeknownst to Trent and Courtney, what they took from Bruno is worth being killed for. "Co-D explores the adventures of Trent and Courney's journey in their mission and the growth in their relationship. Co-D is a slang term for the word 'Co-Defendant' and is used to call your 'partner in crime' or 'ride or die' person – just like the notorious Bonnie & Clyde. This film does not glorify the criminal activity, but addresses the main reasons for this outcome. Health care is affordable for the rich or [those on] a good income and it leaves the people who cannot afford it in a stresful position…Some people don't have the income of family members to help them, just like our main character Trent." Co-D will be screening in September at the BFI; tickets will be available soon so keep your eye on www.levile.co.uk. Levile TV is a home and hub for filmmakers so be sure to check them out for more great content – see below for a sneak peek!